The imperialist agenda of NATO has been suffering significant setbacks in Syria over recent months as the SAA – with the help of the Russians, the Iranians, and Hezbollah – has been steadily defeating terrorist forces and liberating areas previously held by them. A steady stream of victories in the two weeks leading up to the bad faith ceasefire agreement, encouraged by Western powers and agreed to by Russia, has also served to drive yet another nail into the coffin of the morale of the NATO terrorist proxies. Clearly, the United States, NATO, the GCC, Israel, Turkey, and Saudi Arabia are all beginning to realize that it is much harder to defeat a united front, particularly when the unity is between regional and international power players like Iran and Russia. Thus, the most reasonable strategy (aside from abandoning immoral and unwise imperialist adventures) is to break up that united front both on the diplomatic and on the military plane. An attempt has already been made to disrupt the Lebanese government by means of a color revolution some months ago. However, recent reports have revealed a possible plan by Turkey and Saudi Arabia (in concert with the rest of the anti-Syrian powers) to open up a second front of terrorist destabilization in northern Lebanon. The result of such a plan would not only be to increase instability on southwestern Syrian borders and eliminate a friendly state (or at least a non-hostile one) from any positive diplomatic or state-to-state action between Syria and Lebanon but it would also draw Hezbollah back into the Lebanese borders and out of the fight in Syria. In addition, a destabilization of Lebanon and the creation of a “northern front” in Lebanon manned by terrorist forces would effectively cut supply lines, communications, and reinforcement capabilities from its Syrian counterparts. Likewise, the supply lines and reinforcement shipments coming from Iran would severely be hampered. Maybe they do and maybe they don’t. But it is not only Riyadh and Ankara who are invested in the destruction of Syria and the isolation of Hezbollah. The Israelis have always had a vested interest in the strategy of weakening Assad and Hezbollah while NATO is clearly the overarching strategist behind the implementation of the actual policy as it has been realized over the last five years in Syria. With that in mind, such a strategy appears to be underway or, at least, in the preparatory stages. For instance, it was reported by both Greek and Turkish sources that, on February 28, 2016, a vessel loaded with weapons was seized off of Turkey’s West coast by Greek authorities. The vessel, which left out of an international port in Izmir, was headed to Lebanon. The reports were subsequently confirmed by Chief International Correspondent and Analyst for Kuwaiti newspaper, Al Rai in a series of tweets. MOA also points out that, only weeks ago, a Saudi prince was arrested and imprisoned in Lebanon after being caught smuggling two tons of captagon onto his private plane. Captagon is a drug commonly used by terrorist death squad fighters battling the Syrian and Iraqi governments. On February 19, despite being locked in a power struggle with Iran over influence in the Mediterranean nation, Saudi Arabia announced that it was slashing $4 billion worth of military aid to Lebanon. While KSA has, for years, attempted to bribe and buy influence in Lebanon (part of which is accomplished through military aid) it appears that Saudi Arabia is simply walking away, leaving Iran to fill the vacuum. Such a move would be abject foolishness from a geopolitical standpoint if KSA truly wanted to influence the nation and direct its affairs through bribery and king making. That is, unless the goal of KSA is no longer to influence but to destroy. Certainly, the Saudis are preparing for something on the horizon since KSA, UAE, and Bahrain announced in late February that they were urging their citizens not to travel to Lebanon. KSA cited only unspecified “security concerns.” UAE went so far as to announce that it was removing most of its diplomats from Lebanon. Some have posited that the abrupt cut of funding and discouragement of travel to Lebanon came from the Saudis as a result of Lebanon’s tepid siding with Iran over its recent spat with the Saudis over Lebanon’s refusal to condemn attacks on KSA’s embassy in Iran. Others, however, point to the possibility that the Saudis are either planning something in Lebanon or, at the very least, they know that something is coming soon. That “something” may very well be the disintegration of the Lebanese state or the destabilization of the entire country. What is more telling is a report by Stratfor, a private geopolitical intelligence and consulting firm closely related to U.S. intelligence and a firm player in the military industrial complex, suggesting that Saudi Arabia is looking to exploit Syrian refugees in Lebanon for the purpose of creating “sunni militias” in the country as a way to combat and distract Hezbollah. According to a Sunni politician in Lebanon, Saudi Arabia is reportedly courting Syrian refugees in Lebanon with the goal of establishing an anti-Hezbollah Sunni militia. The politician said Saudi Deputy Crown Prince Mohammed bin Salman sees Sunni Syrian refugees with military training as a way to harass Hezbollah, and he may be using Saudi philanthropic organizations that provide aid to refugee camps as a way to court potential militia recruits. Though Stratfor could not verify the politician’s claims, it is clear that Saudi Arabia is using Syria’s convoluted battlespace as a way to expand its regional clout. Attempted destabilization of Lebanon is certainly within precedent. Even recent events demonstrate the fragile and targeted nature of the Mediterranean nation. Indeed, these recent events also demonstrate the role in which “philanthropic organizations” play in the implementation of color revolutions. This type of focus is one hallmark of the color revolution, i.e. that legitimate issues are subsumed by shadowy ideals that have no concrete demands to back them up. Government corruption is generally the go-to ideal since everyone hates government corruption and since the likelihood of stopping it is so low. Once the standing government is brought down, a perceived change in the power structure tends to alleviate social protest. The lack of concrete demands is also a hallmark of the color revolution. After all, the goal of the color revolution is regime change, social tension, and distraction, not real progress. A lack of demands precludes the ability of the masses to actually bring about positive tangible change. It does, however, allow for a steam valve of public anger. During those times when the ultimate goal of the color revolution is regime change, the results are unfortunately that the individuals whom the backers of the color revolution desire to assume power are able to do just that. It is also important to point out the marketing capabilities behind the hordes of people in the streets of Beirut. A seeming coalition of individual citizens and opposing organizations were all assembled – the world’s people were told organically – under one name for the purposes of achieving their unstated goals. The YouStink! movement may now join a number of other movements who were “branded” with a catchy name to popularize itself as a political force just as Americans saw the Occupy Movement, Ukrainians saw the Euromaidan Movement, Pora Movement, and the Orange Revolution. In Serbia, it was Otpor! 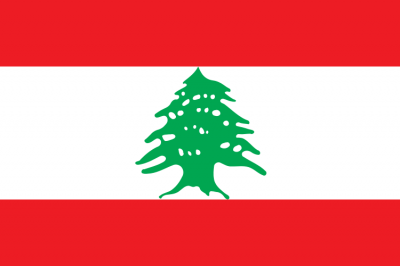 In Lebanon, it was the Cedar Revolution. The YouStink! Movement was also known as a “youth movement.” While it is must granted that most social protest movements tend to be driven by younger people, it is also true that movements that represent populist sentiment tend to be more diverse in terms of age and support. That question aside, however, color revolutions generally rely on “swarming adolescents” and “hordes of youth” in the streets using the energy, anger, and pent-up aggression of young people out of work and devoid of hope with which to provoke violent actions between police and protesters and to create more tension on the political and social scene. This is precisely the population from which the overwhelming majority of the YouStink! Movement was drawn. It is also important to point out that the YouStink! Movement is called for the resignation of Prime Minister Salam, a demand that, if enacted, would through the country into the middle of a Constitutional crisis. Why Would Foreign Elements Want To See A Color Revolution In Lebanon? Many may be rightly confused with any suggestions that the West would like to see the government of Lebanon (separate from Hezbollah) destroyed or destabilized, especially when that government was largely placed in power by a Western-backed color revolution to begin with. However, there are a number of ways in which the collapse of the fragile government and governing structure in Lebanon would not only benefit the West, but also hurt Assad in Syria. This eclecticism of religious communities is presided over by something referred to as the National Pact, an unwritten understanding that the President will always be Maronite, the Prime Minister will be Sunni, and the Speaker of Parliament will be Shiite, among other stipulations (and with a few historical exceptions). Complementary to this concept is the country’s unique political system called confessionalism, whereby Christians and Muslims share equal seats in the unicameral parliament, but each group’s respective composition is determined proportionally by sect. Originally meant to be a temporary solution when it was first enacted in the 1920s, it was later refined by the 1989 Taif Agreement that ended the lengthy civil war and has remained in place to this day. First, causing chaos in Lebanon, if the chaos is great enough, will force Hezbollah to remove its forces fighting ISIS is Syria and bring them back to deal with the lack of social order at home. The removal of forces from Syria will greatly relieve pressure on terrorist forces and deprive Assad of a very important ally. The SAA would thus find it a greater challenge to defend the Lebanon-Syria border, possibly even creating a situation where ISIS/”rebel” forces would be able to push deep into Lebanon. Likewise, if Hezbollah forces are withdrawn from Syria, the Beirut/Damascus highway is likely to become a target of Western-backed terrorist forces. If so, it would make one and eventually both of the “lifelines” to the Syrian capital significant targets with attempts being made to cut these highway routes. Already, the Latakia-Damascus highway, the second “lifeline” to the capital,” finds itself in danger from attacks coming from Western-backed terrorists. Aside from Syria, the weakening of the political order in Lebanon would be problematic for Hezbollah in the short run and devastating in the long run. If Hezbollah is forced to concern itself only with the political situation in Lebanon, its own influence and ability to assist in fighting terrorism in Syria as well as on its own borders will be diminished, all leading to a net reduction in the fighting capability of the true anti-ISIS coalition. The result of drawing Hezbollah away from Syria and back into Lebanon will effectively isolate both Hezbollah and the SAA, weakening the resistance to Western-backed terrorism and also severing the Western end of the “Shi’ite Arch of Influence” from the central and Eastern ends (Syria and Iran). While Lebanon has largely been able to survive the Syrian crisis intact, despite its fragile power sharing agreement, it appears that it is always teetering on the edge of being more valuable to the NATO/GCC/Israeli bloc as a heap of rubble than a functioning country. If recent events and developments are anything to go by, it appears Lebanon is beginning to reach the end of the line when it comes to Western tolerance. Hezbollah’s assistance to the Syrian government and its ever present threat to Israeli dominance in the region has thus made Lebanon as a whole the target of NATO treachery. If NATO cannot destroy Syria because of Hezbollah or if it cannot destroy Hezbollah in Syria, it may very well try to destroy Lebanon in order to do so, whether it is by “hordes of youth” in the streets or armed death squads on the war path.